Zoetermeer, 9 May 2018 – Canon Medical Systems Europe B.V. (Canon Medical Europe) and Olea Medical have created a software upgrade for Canon’s MRI Systems that will enable faster, more accurate and cost-effective diagnoses with less stress on patients. The upgrade is available for all of Canon’s current MRI-systems as well as their new systems. 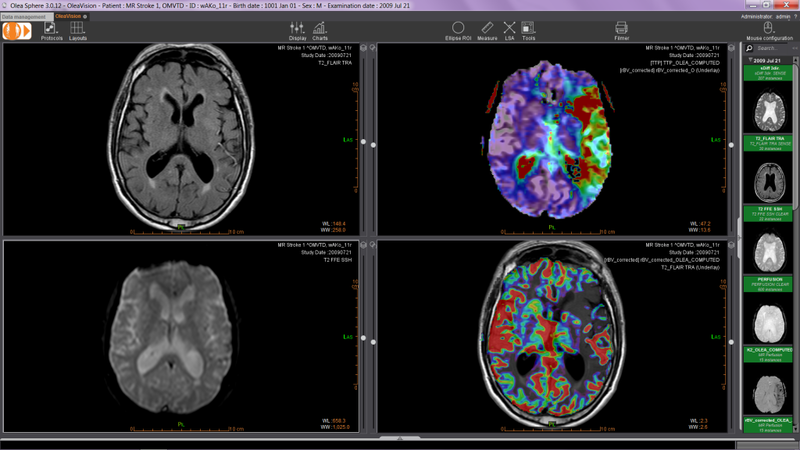 Canon Medical Europe will ship the new version of Olea Vision with its MRI products as of May 7. The new version will be available in Europe. Canon Medical is a key player in the MRI market, while Olea Medical – part of Canon Medical since 2015 – is renowned for providing the most advanced post-processing solutions for MRI. Together, they offer the best of both worlds. 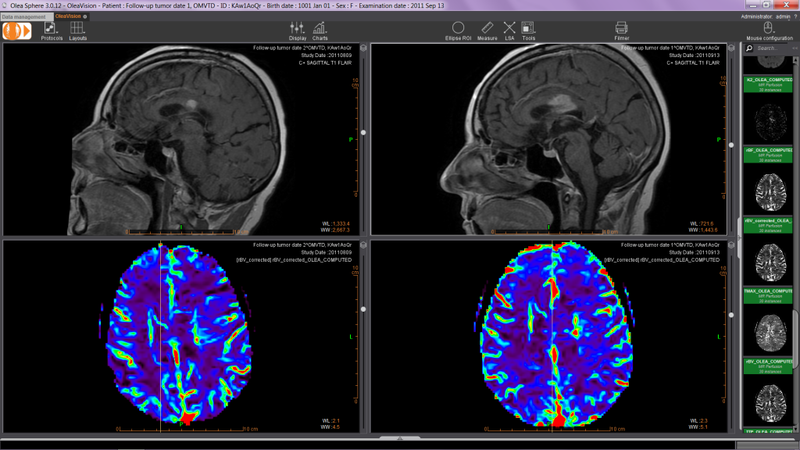 As a leader in developing clinical applications for advanced MRI post-processing, Olea Medical’s innovative solutions allow for image viewing, analysis and processing of even the most complex MRI sequences, and standardize both viewing and analysis capabilities of functional and dynamic imaging datasets acquired with MRI. Moreover, the new Olea Vision developed by Canon Medical and Olea provides the basis for 40 completely new and unique applications for Canon Medical’s customers. All applications can be accessed by using Olea Medical’s viewer Olea Vision. Olea Vision redefines the standard for MRI visualization. It is a highly customizable 2D, 3D, 4D DICOM viewer with user-defined hanging protocols that offer several functionalities such as, easy navigation in any DICOM series, 3D data loading & visualization, image manipulation and reconstruction. It also includes subtraction for enhanced diagnostic capabilities. Through adopting the same look and feel as the system’s user interface, M-Power, Olea Vision viewer is a perfect complement to Canon Medical’s MRI system. Canon Medical Europe and Olea Medical decided to strengthen their collaboration based on the conviction that excellent hardware paired with excellent software can surpass customer’s expectations on what solutions can be provided for patients. With an increased focus on post-processing in MRI, both companies are committed to supporting customers to provide the best possible care for patients. Canon Medical Europe will ship the new version of Olea Vision with newly purchased MRI systems. All applications have a high degree of user-friendliness and intuitiveness, and are available as a trial-version via electronic license by mail. For more information, please contact Serge Beckers at Wisse Kommunikatie, via +31 26 4431523 or serge.beckers@wisse-worldcom.nl. Canon Medical Systems offers a full range of diagnostic medical imaging solutions including CT, MRI, ultrasound, diagnostic and interventional X-ray equipment and advanced software that enables visualization and analysis of 2D, 3D, and 4D images of anatomy and physiological functions across the globe. Under the slogan “Made for Life” (Made for Partnerships, Made for Patients, Made for You), Canon Medical Systems is making positive contributions toward hospital management, and provides a range of patient-friendly healthcare systems and services, continuing its long tradition of contributing to healthcare. Olea Vision, Olea Medical and Olea Sphere are trademarks of Olea Medical SA.